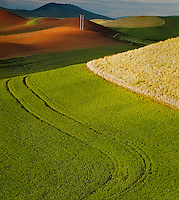 The Palouse is farming country on the Washington - Idaho border. 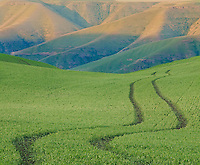 Wheat, lentils, garbanzos and split peas are grown on ancient silt dunes. Contour plowing creates incredible patterns which glow at sunrise and sunset.